The upcoming event will provide an opportunity to explore the topic of starting a business in Thailand. Starting a new business can be both exciting and challenging, particularly in a foreign country. 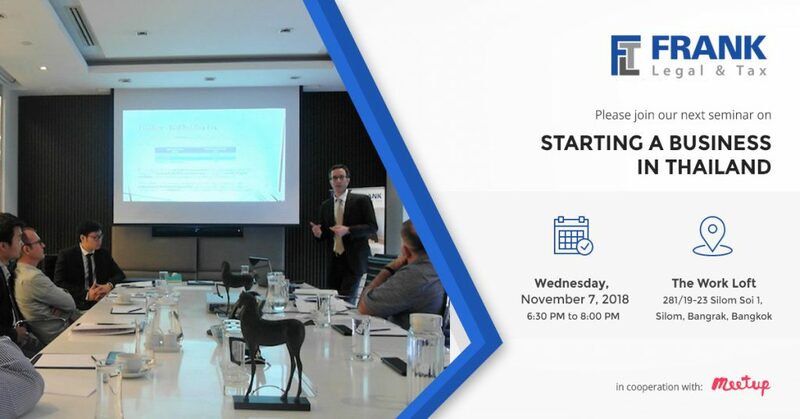 By attending our workshop, you will acquaint yourself with the legal procedures for opening a business in Thailand and be more familiar with the programs and opportunities available throughout the Kingdom. Please register using the form on this page. In addition, Partner Fabian Doppler will briefly discuss the legal process for start-ups in Thailand.